friday ... YEAH YEAH! i can teach u a thing ... or two! Warning / Aviso: Eargasmic track! Naughty .... but nice! É sexta-feira e estamos quase todos a abandonar os nossos escritórios, escolas e tudo o que nos faz ansiar pelo fim de semana. Avizinha-se um final de tarde com uma mesa repleta de copos de cervejas do mundo, uns olhares marotos por trás dos óculos de sol, um flirt por entre a fila para o bar e imensos risos descontraídos. É aí que podemos retirar o I can teach you a thing or two e atribuir-lhe toda a conotação para quando estamos a chegar àquela hora em que sentimos calor .... e esse calor é tudo menos por causa do tempo! 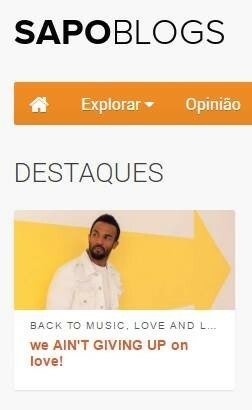 Será por isso, Yeah Yeah 2017 (nº1 Billboard's Dance Club Songs) está aí para te acompanhar pela noite dentro .... e até mesmo até pela manhã, naquele after party que (de certeza?) poderás ir. Originalmente editado em 2007 (nº2 UK Charts) pelos Bodyrox, a versão de aniversário é produzida por Dave Audé, mas mantém a fabulosa, excêntrica e poderosa voz de Luciana (também ela já uma referência neste e que colaborou com Martijn Ten Velden, Richard Vission e Mark Knight) e adiciona-lhe todas as batidas e loops próprias para qualquer festa deste ano. A versão do vídeo é bem mais agressiva ... não aconselhável a quem teme um dancefloor cheio de luzes, óculos-de-sol, e bebidas q.b., pois pode provocar um eargasm ali mesmo. Esta versão foi remisturada por Tom Staar e é extremamente aditiva e, para muitos, representa o som necessário para as 7 da manhã. It's Friday and we are almost all leaving our offices, schools and everything that makes us yearn for the weekend. We can forsee a late afternoon with a table full of beers from all over the world, a hazy look behind the sunglasses, a flirt while queueing for the bar and lots of laid back laughter. That's when we can take the sentence I can teach you a thing or two and give it all the correct connotation when the time we feel hotter arrives .... and this heat is caused by anything but the weather! That's why, Yeah Yeah 2017 (nº1 Billboard's Dance Club Songs) is there to accompany you through the night ... and even into the morning, in that after party that (for sure?) you can go. Originally released in 2007 (nº2 UK Charts) by Bodyrox, the anniversary version is produced by Dave Audé, but retains the fabulous, eccentric and powerful voice of Luciana (she's already a reference in this blog and has collaborated with Martijn Ten Velden, Richard Vission and Mark Knight) and adds all the beats and loops for any party this year. The version of the video is much more aggressive ... not advisable to those who fear a dancefloor full of lights, sunglasses, and and loads of drinks, as it can cause an eargasm right there. The version was remixed by Tom Staar and is extremely addictive and for many it may represent the sound needed for 7 a.m..
something naughty but nice is about to come! HOW LONG will u wait 4 luv? Se o mundo está cada vez mais próximo e as redes sociais a isso ajudaram, questionamos o seu papel na construcção das nossas relações. Quantos parágrafos conseguimos escrever sobre aquela fotografia com filtros especiais que usamos como apresentação,ou em aplicações como o Tinder? Já falámos sobre as sensações das manhãs (sozinhos ou acompanhados) com In the Morning mas com How Long questionamos a desorientação, o tempo e as formas de superar a perda, enquanto que o video nos mostra um dos caminhos que seguimos, numa panóplia de sites e apps em que buscamos conforto ou, até mesmo, a forma (mais simples?) de podermos (re)encontrar o que perdemos. Esta melodia electrónica tem, nada mais, nada menos, que 7 versões que se adaptam a vários momentos do teu dia. A versão original é bem contagiante para as manhãs, enquanto que as remisturas de Grant Nelson (que já remisturou o clássico Fade dos Solu Music) se adequa ao início das noites dos fins de semana, em que por entre cervejas e shots, descortinamos algumas paixões, sejam elas momentâneas ou não. 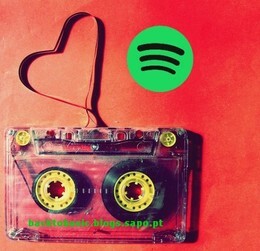 Por último, para a madrugada, temos mixes de ATFC (conhecidos pelo tema Bad Habit com OnePhatDeeva e Lisa Millet) e de Alex Neri com GG Canu, que sobrepõem as batidas house a esta história triste e melâncólica. Talvez sejam estas últimas as mais propícias para um piscar de olho debaixo da bola de espelhos numa pista de dança. 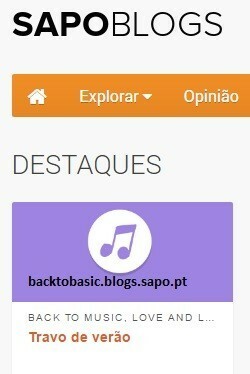 Em suma, pela voz de Sannie constatamos que a vida, tal como a música, é o espaço onde a letra,os sons e as sensações se misturam. Afinal, o ponto em comum nas remisturas deste single é a versão original, a partir da qual ouvimos uma progressão no groove e no bass. Assim, (re)encontrar alguém no Mundo (electrónico ou não) deve ter como ponto de partida mais ninguém a não seres Tu, único e com o hastag #nofilter, para depois remisturares a tua paixão com os teus únicos e genuínos sons! If the world is ever closer and the social networks have contributed to this, we question their role in the construction of our relations. How many paragraphs can we write about that photograph with special filters that we use as a presentation, or in applications like Tinder? We have already talked about morning sensations (alone or with someone) with In the Morning but with How Long we question the disorientation, the time and the ways to overcome the loss, while the video shows us one of the paths that we follow, in a panoply of sites and apps in which we seek comfort or even the (simpler?) way of being able to find (again) what we have lost. This electronic melody has, nothing more, nothing less, than 7 versions that adapt to various moments of your day. The original version is very contagious for the mornings, while the remixes of Grant Nelson (who already remixed the classic Fade of Solu Music) fit the beginning of the nights of the weekends, in which between beers and shots, we discovered some passions, momentary or not. Finally, towards dawn, we have ATFC mixes (known by the track Bad Habit with OnePhatDeeva and Lisa Millet) and Alex Neri with GG Canu, which overlap house beats to this sad and melancholic story. Perhaps the latter are the most suitable for a blinking under the mirror ball on a dance floor. In short, by the voice of Sannie we see that life, like music, is the space where the lyrics, the sounds and the sensations are mixed. After all, the point in common in the remixes of this single is the original version, from which we hear a progression in groove and bass. So, finding (again) someone in the world (electronic or not) should have as a starting point anyone else but You, unique and with the hastag #nofilter, for you to later remix your passion with your unique and genuine sounds! Funk, Disco and House all together in an unique cd that is a result of an audiovisual project by Vurraro and Yuri X, that aim to unite funky and minimal house with unique imagery. In a memorable date of 12 original tracks, one has an energetic, funny and perfect path for a Friday that has already started. You Got is the start point of this travel full of disco rhythms, that end with I Miss You, which reminds us the times when Masters At Work’s remixes were dancefloor killers. In the middle of this trip, we are taken to disco sounds similar to Funkstar Deluxe, in I’m So Young, strong progressive house beats with Well New Bass, Ando Hard Bass and Blondie, and we are also surrounded by a fabulous electro house in Oxigenio. In this way, if you thought that Brazil could only export samba and country music, the proof that this conclusion is wrong is Electric Funky, a handful share of electronic rhythms to dance. Funk, Disco e House unidos num cd único resultado de um projecto audiovisual de Vurraro e Yuri X, que pretende unir funky house minimalista com imagens únicas. Num encontro memorável de 12 faixas originais, temos um percurso energético, divertido e perfeito para uma sexta-feira que ainda agora começou. You Got é o ponto de partida desta viagem disco cheia de ritmo que culmina em I Miss You, relembrando os momentos áureos das remisturas de Masters At Work. Pelo meio desta viagem, somos transportados para ritmos disco muito ao estilo de Funkstar Deluxe, em I’m So Young, por batidas fortes de um house progressivo em Well New Bass, Ando Hard Bass e Blondie, e também somos rodeados por um fabuloso electro house em Oxigenio. Desta forma, se pensavam que do Brasil apenas se podia exportar samba ou música popular, a prova que essa conclusão é errada está em Electric Funky, uma amostra cheia de ritmo electrónico para dançar. 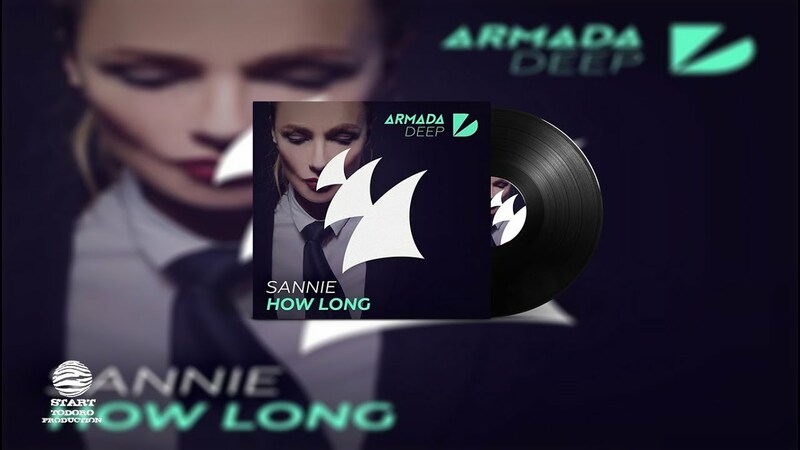 One of the best colaboration from 2007 between the dannish singer Ida Corr and the dutch deejay Fedde le Grand. Let Me Think About is hot, fresh and a fantastic track for a hot summer night in an open air party! Uma das melhores colaborações de 2007 entre a dinamarquesa Ida Corr e o deejay holandês Fedde Le Grand. Let Me Think About It é quente, fresco e uma fantástica faixa para uma festa ao ar livre numa noite quente de verão! Synteticboy couldn’t have choosen another title for this album. 8 tracks comprise this incoherent journey through electro, chillout and techno. After Houre does the intro in an energetic and danceable rhythm, followed by other breaks with guitars, scratchings and vocals with Lonelly and Sound Sculptor, with chillout beats, resumed only on the last track Compressed Bass. In this ride, there is time to visit some stronger rhythms that are similar to Enigma’s first album and some that are closer to techno, with the remix of Neverland for Kate Lessing, which has all the progressive clichés of this music genre. To sum up, this may not please everybody, but as the album has a little bit of each music genre, there will be a track that will persist in our musical collection, for sure. Synteticboy não podia ter escolhido outro título para este álbum. 8 faixas compõem esta viagem um pouco desconexa pelo electro, chillout e techno. After Houre abre em ritmo energético e dançável e seguem-se outras paragens pelas guitarras, scratchings e vocais com Lonelly e Sound Sculptor, em ritmos chillout, só retomados na última faixa Compressed Bass. Neste percurso, há ainda tempo para visitar ritmos mais fortes que se assemelham ao primeiro álbum de Enigma e outros que se aproximam do techno, com a remistura para Kate Lessing de Neverland, que tem todos aqueles clichés de progressão deste género. Em suma, é capaz de não agradar a todos, mas como o álbum tem um pouquinho de tudo, haverá sempre alguma faixa que irá perdurar na nossa colecção musical.